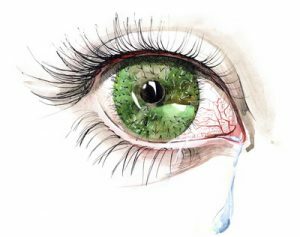 Fortunately, our Eye Doctor in Central, LA is very familiar with the the symptoms of dry eye syndrome and how to treat it. Our Eye Care Team has compiled some points of essential knowledge below, to help our patients recognize the indications of this uncomfortable and painful eye condition in a more timely fashion, so that they can prevent prolonging the pain and discomfort of this extremely uncomfortable eye condition. If you feel your red eyes may be something more, come see us at Rogers Regional Eye Center, in Central, LA, today!